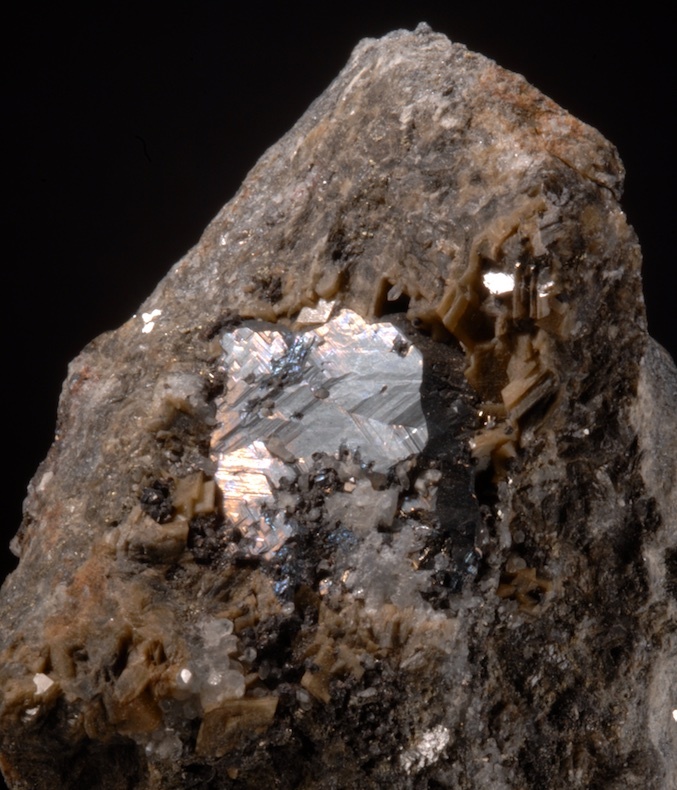 A fat, gun-metal silver blue compound crystal from the very old find at Iyo. This was a gift to the collector Wallace Gould Levison of New York City in 1915. His label does not survive but the gift is recorded in his ledger. This crystal is very complex and recrystalized, it looks at quick glance like a badly broken piece but on inspection the termination is complete and most of the rough faces are in fact fully crystalized. There is only one area of da, mage and that is limited to the backside. 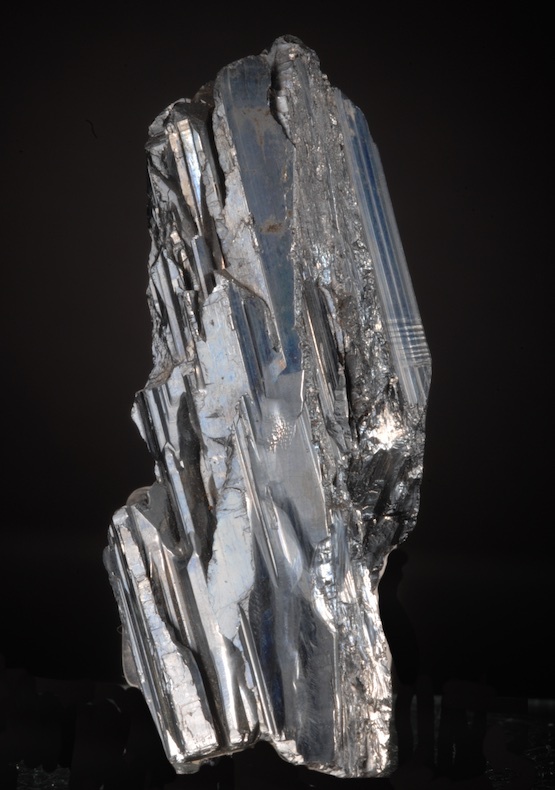 The Patina is the perfect, classic look of a vintage Japanese Stibnite and the complex form is oddly attractive too. 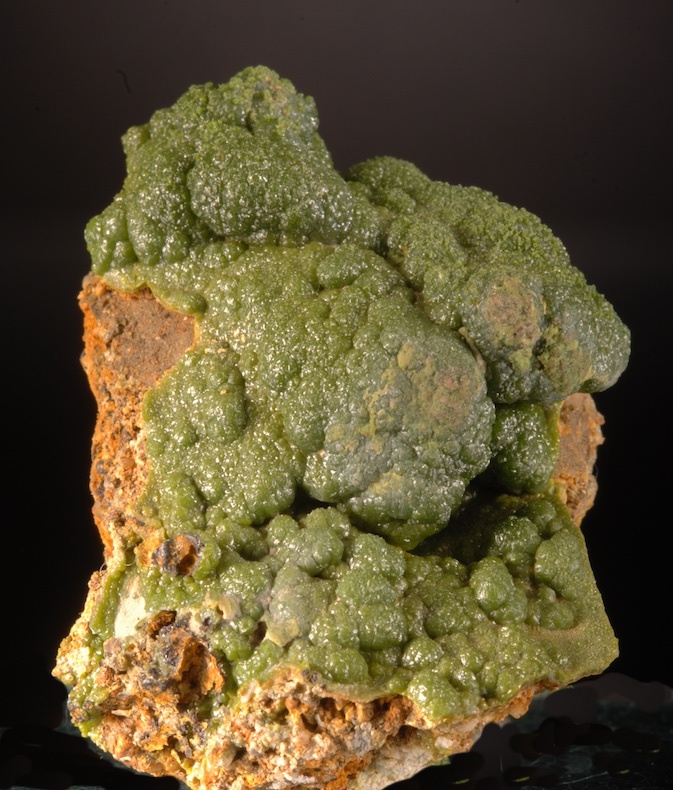 A well exposed Bournonite with complex twinning sits well exposed on a sulphide matrix with Dolomite crystals. Ex Charles Noll collection, this is a choice, old specimen from the classic locale of Pribram. 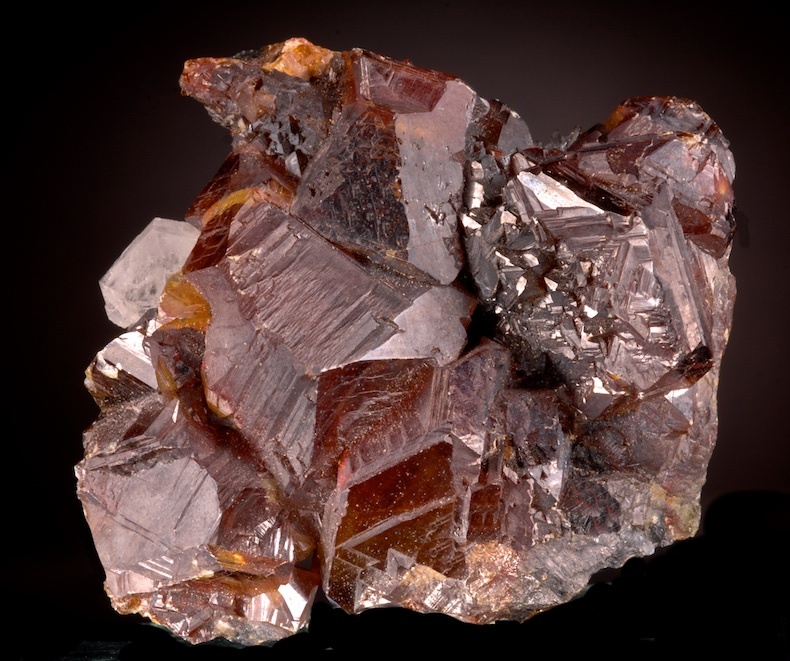 The central crystal is 2.6 CM across., and has a few small Quartz crystals scattered on it. 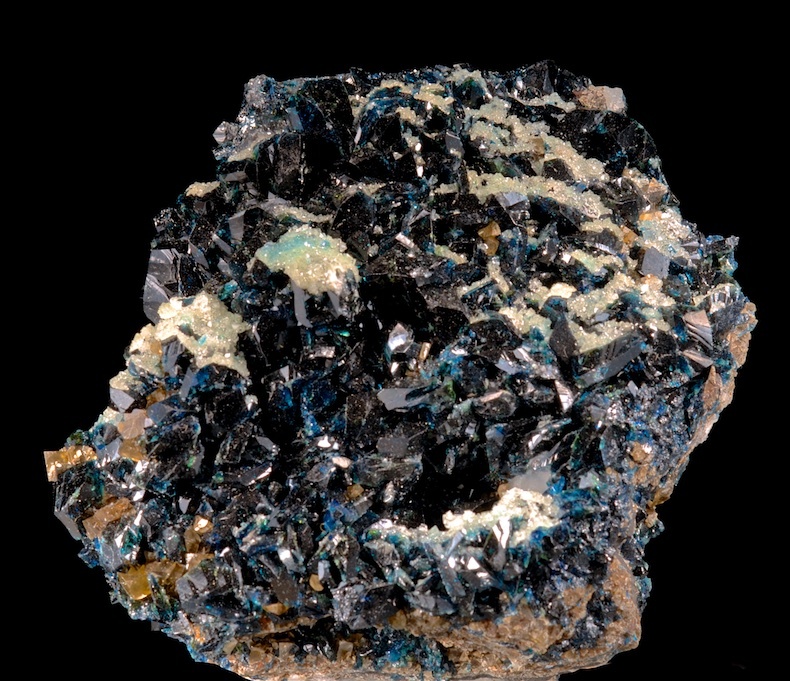 In unusually good condition as seen, the surface is also lustrous and has a fine patina. 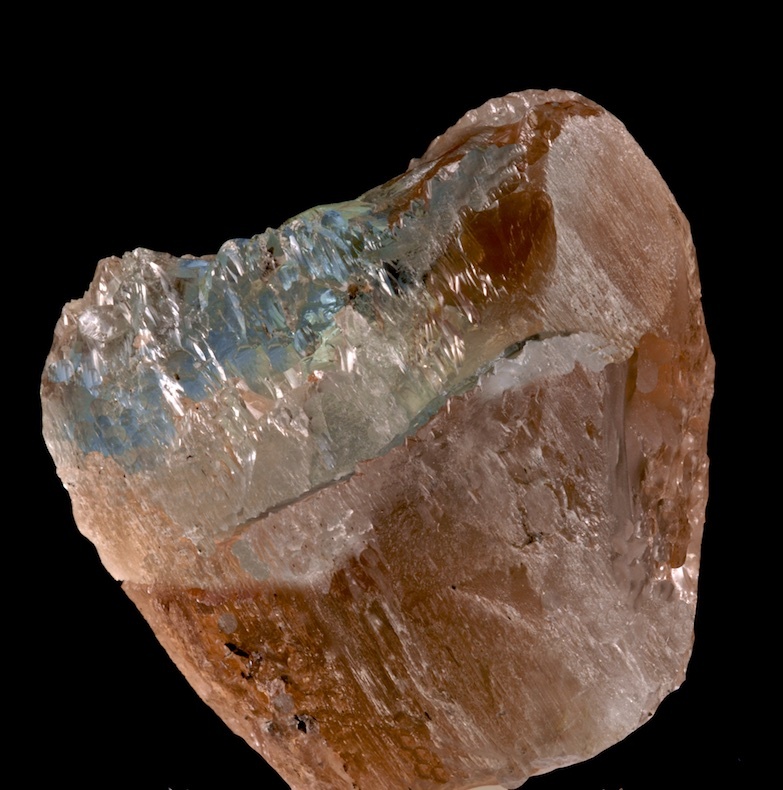 Gemmy and with a glassy luster, this single crystal has a dramatic color change and shows striking dichroic shift. The color change ranges from a purple-red to a yellow green. Aside from that, this is in fine condition, well terminated and a very different style of tourmaline from what is usually seen. Far better in person the color shift is one of the strongest I have seen. 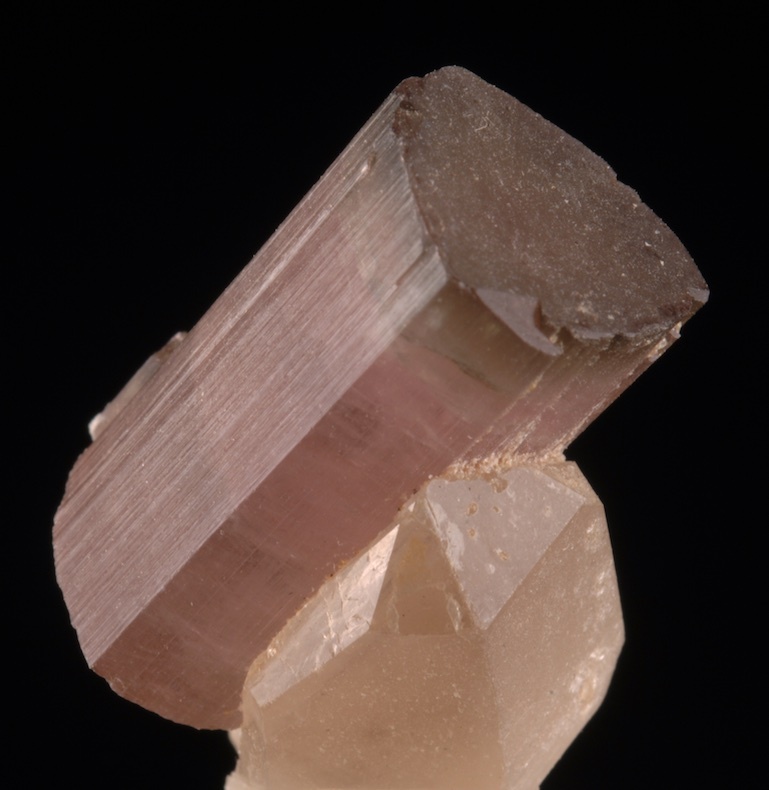 A fine thumbnail zoned Tourmaline on a doubly terminated Quartz crystal from the classic Himalaya Mine. 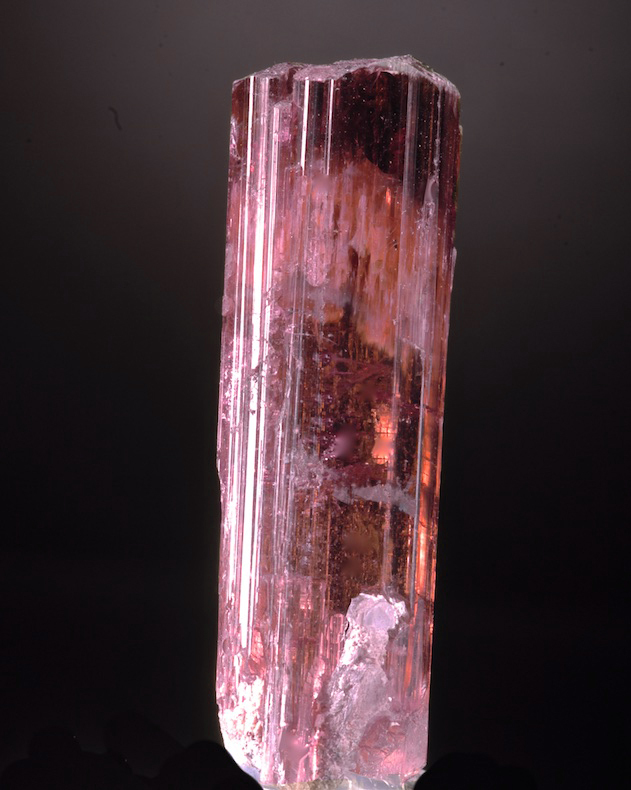 The Elbaite has a sharp termination on one end but the bottom is incomplete, otherwise sharp and in perfect undamaged condition. Older specimen with a pastel pink body to a dark green cap. Displays well from several angles.